With summer just around the corner, many of us are starting to plan vacation outings, weekend ideas and day trips to enjoy the warmer weather! At Hidden Cove, we offer many different options so that every member of your family can enjoy the sun while feeling the refreshing waters. If you are looking for a relaxing day on the lake with your friends and family around, look no further. One of our most popular rented equipment is our kayaks. Kayaking is an inexpensive and calm activity. 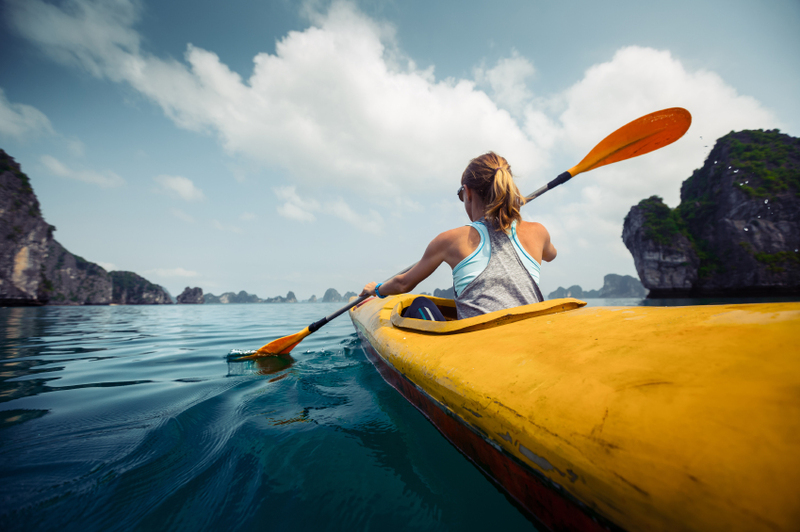 These 1 person kayaks don’t require much physical strength, so don’t worry about getting tired. Our kayak rentals start at $15 per hour for each kayak! Canoes are a classic summertime activity that involves 1-3 people. Have a group of friends of are a couple that wants to bond, check out our canoe rentals today. A canoe is deeper than a kayak and is more similar to a small boat. Canoes rental rates start at $15 per hour! Want a leisurely afternoon of people watching? Paddle boats are your go-to option. These lightweight boats are easy to maneuver and don’t require much physical strain. They are perfect for children and older patrons alike! All of our paddle boats are for 2 people and rates start at $15 per hour.